Hippolytushoef, The Netherlands (18 june, 2009 ). After many years of development CT Systems has released a completely renewed version of their Viking Navigation software. 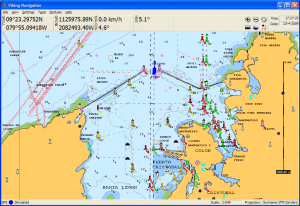 The new version is targeted for use in all professional maritime areas where accurate positioning and navigation is demanded. One of the main objectives during the development of the new Viking software was, and still is, is user friendliness. 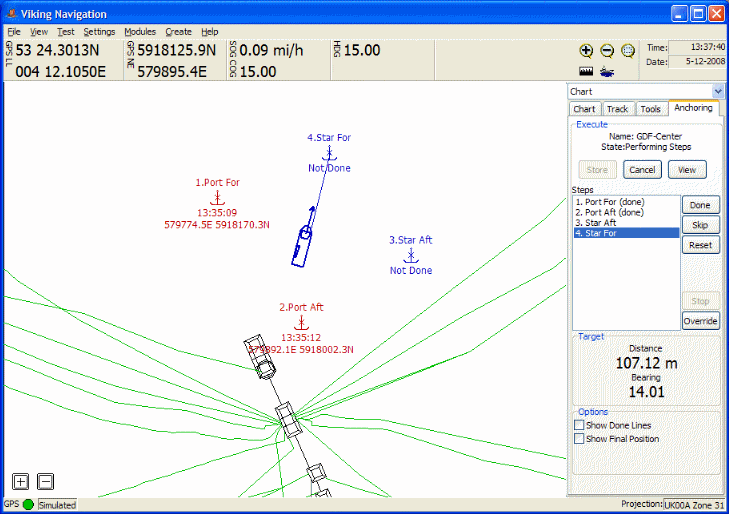 Despite the fact that the internal workings of Viking are highly complex, the software itself remains very easy to use. Viking is available in multiple versions, including a lightweight version providing the basic necessities, and an off-line version for the preparation of maps and projects. Also new to Viking is the modules interface, which enables the program to gain specific functionality. 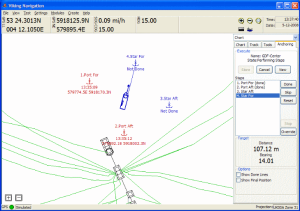 For example, the Anchoring Module has been developed for, and in cooperation with, several large offshore companies, for the planning and executing of complex anchoring plans. In addition the Gridding Module enables dredging vessels to accurately deposit stones on the sea floor. CT Systems, in business since 1976, is an innovative company highly experienced in every professional maritime sector. Situated on a central location along the Dutch coast line, nearby Den Helder, the Capital of the North Sea. The main activities are development and installation of hardware and software for use in the offshore-, commercial fishing-, survey-, maritime construction-, and dredging sector. CT Systems also provides related services, such as the pre- and post processing of data for on- and offshore projects, and perform hydrographic surveys.